The National Spanish Examinations are online, standardized assessmet tools given voluntarily by over 3000 teachers throughout the United States to measure proficiency and achievement of students who are studying Spanish as a second language. 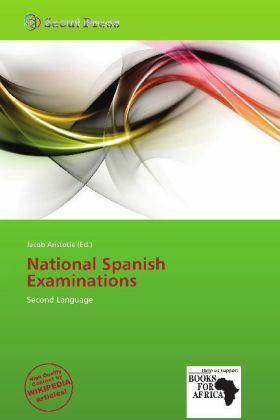 The National Spanish Examinations are the chief assessment tool of the American Association of Teachers of Spanish and Portuguese. The mission of the National Spanish Examination is to recognize student achievement and to promote language proficiency in the study of the Spanish. NSE is committed to providing teachers with assessment tools and offering students opportunities to practice their language skills and know their Spanish language proficiency rating through taking the exam.